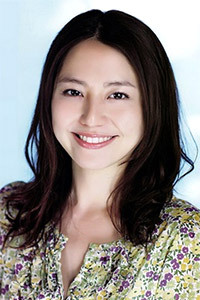 There's something about Masami that I can't quite put a finger on... she's nowhere near as stunning as say somebody like Misaki Ito, but she has this charm, this tender beauty about her that is deeper than any other Japanese lady I've watched. She has the most infectious, adorable smile too! First saw her in Proposal Daisakusen, where she was so endearing and beautiful. Her acting was also top notch; she was able to convey so much emotion with the slightest change of expression. I was in awe of her in that series - she just shone like a star. I then decided to see Last Friends for her, and though she was very cute in this series, the role of Michiru limited her ability to showcase her acting talents. Her movies have also been great and very enjoyable to watch. I hope this girl continues to go far, the way she has, because she is top stuff. There is a reason why she is Japan's top girl. Love her. She is most popular young actress among Japanese movie directors. The Rookie Actress of the Year 2004 Award winner. Very talented. I think she can go forward and being success in her career. I really really love her smile and the way she is. totemo kawaii masamichan ga daisuki! - gallery http://photos.masaminagasawa.com upload images here.Bravo to Masami Nagasawa and her fan. she's a talented actress not to mention she's pretty, i like her performances in prodai, sekachuu, dragonzakura and touch but why her acting is become worst now. I have always loved Masami-chan in movies more than in dramas... but she has always given a good job in every project she has. I hope to see more of Masami-chan! I like Masami a lot. She is always so bubbly and cheerful and of course kawaii in so many ways. She has acted in a couple of movies too i believe. Masami's role as Rei in Proposal Daisakusen was great. I bet many men wished they had a good friend in her like Kenzo did! She's awesome! She is lovable and cute. I noticed her @ 'Touch'. She is doing very well beyond her age and has potential to become the best actress. beautiful and mature. along with hasegawa kyoko she is the stand out actress in dragon zakura. i'm sure she'll have a big future. notice this cute girl after watching Sekai no Chuuushin movie. She acts very well and still so young. ���V�܂���chan��D����! She's so pretty.. I became her fan since proposal daisakusen, good pairing with yamapi. I love both of them so much. She has the look and talent. Like her role in Proposal Daisakusen. Hope to see her more in future drama series. "Sekai no Chushin De Ai Wo Sakebu" (movie) and "Proposal Daisakusen" were my favorate Nagaswa Masami shows. A very fine lady. A natural beauty!! Her smile is the best!~ Great future is on her way! A natural beauty with hidden talents. She plays the "good girl" character pretty good. she's acting was too normal that's why i'm loving her!! i will support her forever..
She's an extremely talented young actress. One of the best of her generation. First saw this girl in Dragonzakura...she's really very cute attractive. She is a very good actress, she knows how to smile and she is very cute. A great actress. Was amazing in Proposal Daisakusen and Dragon Zakura. to our No.9 in the 2007 Most Influential People in Japan, kanpai!